HONG KONG, July 9, 2018 - (ACN Newswire) - A strong international line-up of writers will be featured at the 29th edition of the HKTDC Hong Kong Book Fair, which will gather about 680 exhibitors from 38 countries and regions at the Hong Kong Convention and Exhibition Centre (HKCEC) from 18-24 July. Among the highlights is the International Cultural Village, which will spotlight consulates and cultural promotion organisations from 32 countries showcasing their local books and cultural products. France, Germany, Italy and Poland, together with new participants Austria, the Czech Republic, Greece and Ireland, are joining forces to set up a European Union Pavilion on the first floor of the HKCEC to showcase European culture. Meanwhile, another perennial favourite - the Japan Pavilion - will return to the fair in a record-breaking scale, bringing Japanese literature, classic manga and virtual reality (VR) experiences to Hong Kong readers. With support from the Consulate General of France in Hong Kong and Macau, the European Union Office to Hong Kong and Macao and the Consulate General of Spain in Hong Kong, the World of Knowledge Seminar Series will spotlight a distinguished list of European speakers, including French writer Chantal Thomas, Latvian writer Janis Jonevs as well as Spanish-speaking writers Maria Jose Pareja Lopez, Nashua Gallagher and Diana Coronado. Renowned French writer Chantal Thomas, who is also a playwright, essayist and historian, is the author of the well-known novel Farewell, My Queen, which takes readers back to legendary Marie Antoinette's final days in Versailles in the lead-up to the French Revolution and won prestigious French literary prizes such as Prix Femina and Prix de l'Academie de Versailles. The book was adapted into a film, directed by Benoit Jacquot, which became a box-office hit. Chantal Thomas has a deep fascination for French history, specialising in the eighteenth century. Her works including The Testament of Olympus and The Exchange of Princesses have been translated into many languages. The latter was also recently adapted into a film, of which the screenplay was co-written by Chantal Thomas and director Marc Dugain. At the World of Knowledge Seminar Series, Chantal Thomas will speak on the social status and power of women in the 18th century. The World of Knowledge Seminar Series will feature Spanish-speaking writers Diana Coronado, Maria Jose Pareja Lopez and Nashua Gallagher, thanks to the support of the Consulate General of Spain in Hong Kong. Diana Coronado is a Mexican author of children's books and young adult novels in Spanish, including Emilia y el mar (2014), La revelacion de los reinos (2015), Luz en el claustro (2016) and El beso (2017). With renowned Mexican scientist Julia Taguena, she co-wrote the novel Eureka! Lo encontre (2014), which was published by the Mexican National Council for the Arts. A book on Japanese poetry for children, co-authored by Diana Coronado and Monserrat Loyde, will be published by the Mexican Ministry of Culture this year. Maria Jose Pareja Lopez is a Spanish lecturer at colleges in the United States, Spain and Hong Kong. 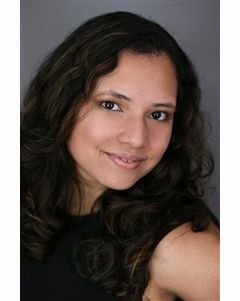 After receiving her bachelor's degree in business from the Instituto Tecnologico De Santo Domingo of the Dominican Republic, she completed a Master of Business Administration course at Western Illinois University and earned a master's degree in Spanish literature from the University of Kansas. Nashua Gallagher is the founding director of Peel Street Poetry, a literary collective that has run spoken word sessions and other events in Hong Kong since 2005. She is the author of All the Words a Stage (Chameleon Press, 2018), and her works have been featured in Not A Muse: A World Poetry Anthology (2009) and the Cha literary magazine. She has performed her poetry at the Hong Kong International Literary Festival and TED main stage events. These three authors will host a talk titled "Romance Along the Silver Way: Baroque Love Poetry and Prose from the Spanish-speaking World", where they will share their creative thoughts and examine love poetry and prose from the Baroque era. The European Union Office to Hong Kong and Macau has invited Latvian writer Janis Jonevs to share his advice on writing. Born in 1980 in the central Latvian city of Jelgava, Janis Jonevs is one of the most popular writers in the world. He is best known for his debut novel Jelgava '94, which swiftly became a bestseller upon its release in 2013 and won an EU Prize for Literature in 2014. The book has been translated into seven languages and published in France, Norway, Slovenia, Croatia, Estonia and the United Kingdom. Jelgava '94 is a story about the post-90s generation. In the book, youngsters discover their own identity by building intimate relationships with one another and getting involved in alternative cultures. The novel also details Latvia's second proclamation of independence. Jonevs is recognised as the first writer to depict this historic event with mature literary skills. The writer is also a playwright, and is currently working on a collection of short stories. The popular Japan Pavilion will be moved to the fifth floor of the HKCEC this year, alongside the 2nd edition of the Hong Kong Sports and Leisure Expo. The year's pavilion is the largest ever, with exhibitors coming from 17 cities and prefectures, including Iwate, Kansai, Okinawa and Shikoku which are participating for the first time. They will join hands with the Japan National Tourism Organisation and renowned Japanese publisher KADOKAWA Corporation to showcase various aspects of Japanese cultures through literature, cultural products and an Anime Pilgrimage VR experience. At the Japan Pavilion, Saitama prefecture will spotlight the well-known "Moomin", Abashiri city will feature its local mascots while Tottori, the hometown of many famous manga artists, will bring two characters from classic manga series -- Aoyama Gangchang's "Detective Conan" and Shigeru Mizuki's "GeGeGe no Kitaro" -- to the fair to offer photo opportunities to visitors. Wakayama city will bring its famous cat station master Tama to the Pavilion while Hyogo prefecture will showcase the works of Tezuka Osamu. Further details are available on the Hong Kong Book Fair website (www.hkbookfair.com), including information on registration for the free seminars. Requests for author interviews, including the proposed interview format, questions and contact details, should be sent to angel.lw.leong@hktdc.org on or before 14 July.